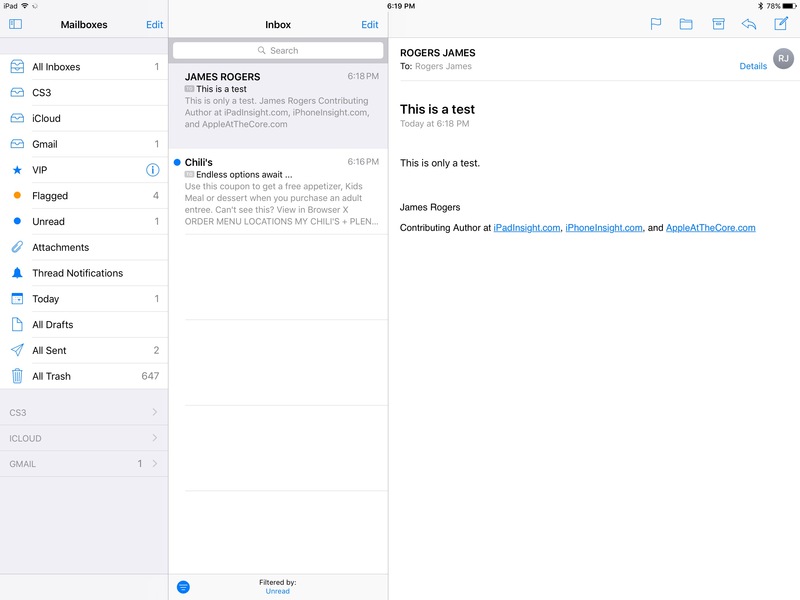 The iOS Mail app is something all iPhone and iPad users are, at least, vaguely familiar with. The first users of these devices used the Mail app, as a default mail service, pretty much across the board. 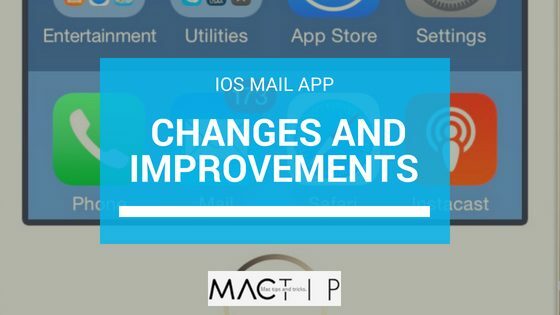 In only its second year of service, Apple gave the Mail app the ability to sync other email accounts through Exchange email support. When this happened, the iOS Mail app became, what was basically, “the only” mail app for smartphone users. It was the one that everyone used because, at the time, there wasn’t much in the way of competitors, back then. This didn’t last for long though. Only a few years later, another tech giant, Google, came out with a competitive mail app, Gmail. Gmail was available to Android users, as a competitive version to the Mail app. The universal version, though, wasn’t very good next to iOS Mail, in its early years. It took some time, but at some point, Google did update its Gmail app, taking it to, what some would say, was a more competitive version than the Mail app. By the time that happened, however, both companies were starting to face more competition in the market, from third party email apps. Third party apps were emerging that did things faster, easier, smoother, and much more conveniently than native email apps did. For a while, it was looking pretty bleak for Mail, with users dumping the app for the new third party apps. Mail wasn’t the primary email app for Apple device users anymore. Most people who still used it at all, only used Mail every once in a while, for a specific purpose, usually just to supplement in a case where the third party app didn’t quite provide what the user needed. Time goes on, though, and with the passing of time has come the necessary changes needed to turn things around for the native iOS Mail app. Finally, after some years, iOS Mail seems to be back on the map. I guess it’s better to be late to the party, than to never show up at all. 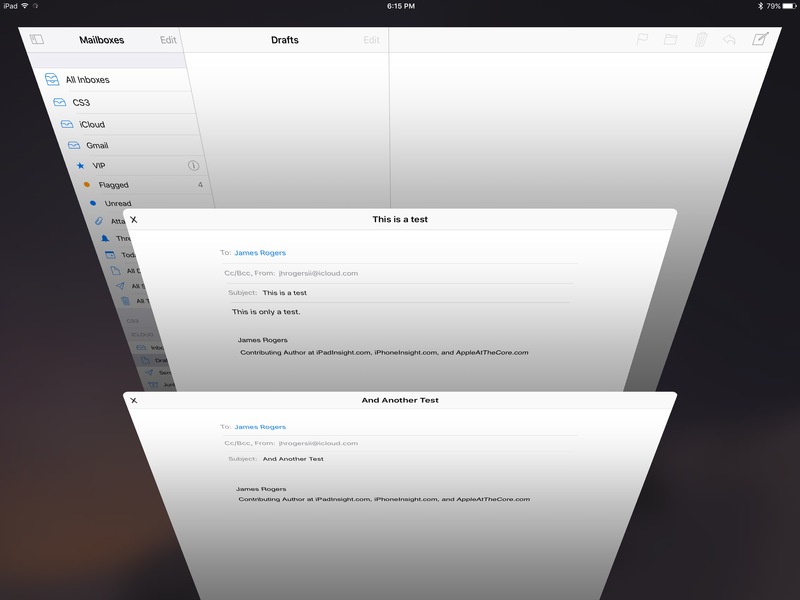 One early, third party mail app alternative to iOS Mail, was Mailbox. The app had some strong points that have been adopted by Mail, and most other email apps still around today. One was the Schedule feature. Apple users make good use of the Schedule feature in the Mail app. Another highly popular feature that Mailbox is responsible for creating, which most of us think nothing about because it’s become second nature to us, is the refresh by pulling down process. If you think about it, virtually all of our apps refresh this way, when there’s any sort of incoming data to be displayed. Where Mailbox was failing was in its lack of ability to work with other email services, other than Gmail. If you were using another service, you couldn’t use Mailbox, unless you were willing to drop your other service, and move completely over to Mailbox, as your primary email provider. For most people, that wasn’t something they could do, as so many people have work email providers that are chosen for them. For many users of Mailbox, the incompatibility of the app to work with other mail apps, made them not able to adopt it as their sole email app. It just wasn’t possible to move away from other email accounts, that couldn’t be connected to the Mailbox account. It was a pretty big downfall to this third party app. Mailbox provided the email app world with some very valuable features, but it met its demise after, in 2013, Dropbox bought the app. As Dropbox’s primary objective of business was not email service, that part of the business slowed down, and lost in popularity, so eventually, the company dropped it altogether. As acquisitions of other company’s apps goes in the app world, what happened to Mailbox is not uncommon. If the acquiring company has a different targeted business than what the acquired app was designed to do, then often times, the original acquired app gets dropped, or completely changed. After Mailbox, there was an email app called Acompli, that many iOS users were working with. Microsoft bought the app in 2015. Some people were upset about this, but Microsoft was smart about their purchase. Since Acompli already had so many happy users, they put effort into making the app even better for its users. They improved upon its, already, popular features, and then gave it a new brand and image. So, here’s a story of an app purchase that went against the norm, and turned out for the better. The Acompli app that was given the new brand and image, is what became Outlook’s iOS version. Not only did Microsoft rebrand the app, they also acquired a calendar app called Sunrise, and rolled it into the Outlook for iOS app. Here was an app that could help users manage all sides of their lives. Outlook did something else for its users far better than any of its features, though. Instead of being limited to one email service, Outlook allowed users to work with any, and all of their email services, in one place. This was bad news for iOS Mail, but good news for iOS device users. While Outlook was giving iOS users a full replacement alternative to using Mail, there came a time when it started giving those same people, reasons to take another look at using Mail again. Technical problems with the app itself, started popping up. The app would just freeze up on users, or just crash completely. For many people using the app for work related emails, having technical difficulties with their email app, could result in reprimand, or even the loss of jobs. Trouble with their email service just wasn’t an option. One huge problem with Outlook was with forwarded content. Some content wasn’t showing up at all, through the app. The missing content, when opened in the Mail app, showed up perfectly. Here’s where iOS users start to come full circle, back to their original Mail app, but now with some good improvements. Mail on iOS gives users a feature that none of the other big email apps adopted. 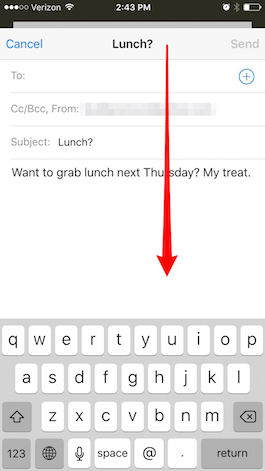 When you’re working on an email, you can swipe your draft down, moving it out of the way. We often need to look for something else from another email when composing our own, so this feature is very convenient for allowing you to look through your other emails, while still having your work in front of you too. You can actually have several things open, all at once, and be able to access all of them, back and forth, on virtually the same screen. Once you’ve used this feature for whatever your purpose is, it’s hard to live without it in your emailing world. Filtering your emails can help you organize and find what you’re looking for faster, and more efficiently. In many cases, there are emails that you need to see before anything else. Setting your filters correctly will help you to prioritize the order you see your emails in, making your work just a little bit quicker, and smoother. Mail didn’t used to have convenient filtering, the way it does now. On the left side of the screen, at the bottom, there is a “Filtered by” section. There is text in blue under the words “Filtered by.” This shows you what your email list has been filtered by. If you want to change the filtering of your emails, you simply tap the blue text, which opens up the menu where your options are listed. There is a lot of flexibility in how you can customize your filters. Then, you can save your list, so that your emails will be organized that way until you change it again. The filtering feature makes organizing your emails on Mail, more convenient than pretty much all of the other available email apps out there. As a side note regarding the iOS Mail filters feature, there are also some quick links that make filtering using some of the more popular filters, fast and easy. There’s an edit button on the top-left of the screen. This is where the filtering quick links are located. While this is a convenient feature, not many people know they are there. They are super useful, but somewhat hidden, so Mail only gets partial points for these links. It’s no secret that Apple has been a bit behind in the AI department. The company is now starting to really work on enhancing the AI throughout its collection of apps. Enhancing AI, in terms of your Mail app, means your app will connect data from emails to existing contacts you have stored. It could find differences for you, from what comes in the email, to what’s stored in your device. One of the things to love about Apple, with its late in the game enhancements to AI, is that they’ve always looked out for users’ privacy. Playing in the AI realm means that companies have to be careful about how far the enhancements can go. Features of this kind look into searches, and information on your devices, to find things that they can use to personalize the user’s experience. While this is incredible in some instances, and can make things convenient, and customized to individuals, it has to be done with users’ privacy still at its core. Apple’s slower initiative in this area, and focus on user privacy from the beginning, should be regarded in a very positive light. Threading of messages in your inbox can help tremendously with finding information with ongoing email conversations, or projects. It wasn’t that long ago that, message threads weren’t available in iOS Mail. Without message threads, users may have numerous messages in between several emails regarding one topic, or one project. It could take double the time looking between all of your other messages to find the ones that go together. Apple added threading of messages after most of the other email apps, but they did add it. 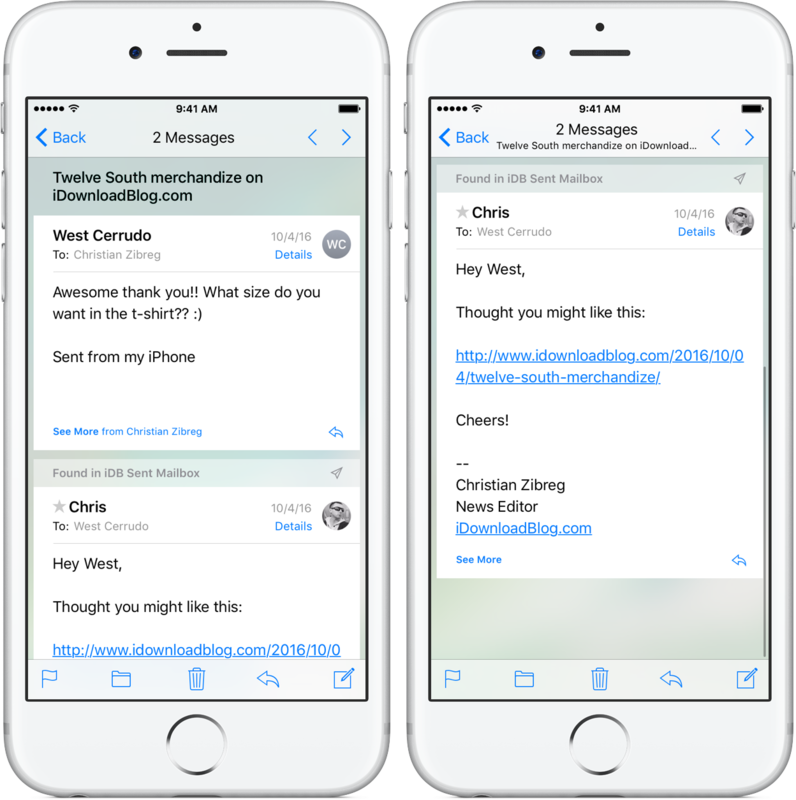 In the iOS Mail app, the threaded messages feature can be customized to the user’s liking. You can select how you want the messages ordered. You can choose to have messages from other location folders show in the threads, or not. You can even opt to turn the message thread feature off, if you prefer not to have your emails displayed that way. Here’s another “better late than never” feature for Apple, and they are fashionably late by making the feature work in the best way for each individual user. Sometimes big help comes in a small package. It’s not a huge deal but it’s something that can definitely provide you with ease of use. Apple added the ability to anchor the navigation menu at the left of the screen. In the older Mail versions, your menu would disappear after you clicked something. This newer version of Mail anchors your navigation menu in its own column. The screen displays three columns. You can move through other accounts more smoothly, and in less time. This was a natural progression, with devices being created with bigger screens. Other mail apps haven’t included this feature yet, but probably should when there’s certainly space for it now. So, while Apple has done a lot to make iPhone and iPad users return to using the Mail app on a regular, and primary basis, there are still some things that could be added, to really make it the most superior email app on the market. The thing to remember is that Apple has been behind the curve, when it comes to keeping up with adding technology advancements to some of their apps. It’s not that they won’t listen, or won’t be adding some of the features that others have already invented, or adopted, it’s just that their true advancements have only just started, when you compare them to some others in the industry. That being said, there are some things that the iOS mail app did before others, like the swipe down draft, allowing users to keep their current email open while searching through multiple others for information needed. Apple can run with the heavy hitters, as it is one of the heavy hitters, they are just known to do it at a slower pace. All things considered, Apple is doing a pretty good job with its iOS Mail app, but there are some things that could make it better. One feature Apple hasn’t added, and it’s really quite baffling, is the Scheduled email feature. Here’s a scenario. You’re sitting in your daily, afternoon meeting, watching the production reports go up on the big screen, and listening to the other team leads talk about their numbers, and projected goals. You’re supposed to be sending an email in 10 minutes, to a prospective client, for your boss, so that hopefully, you can secure a commitment to do business with this company on an ongoing basis. Your window for the amount of time the prospective client will have to receive and read your email is minimal, about 15 minutes, the ride between obligations she has. Your meeting has, at least, another half an hour. You’re sweating and thinking to yourself, “If only, if only Mail had a Scheduled email feature, that email would send itself in 10 minutes, like I need it to!” Unfortunately, Apple has not added Scheduled email into the Mail app. Let’s hope it’s something we see in a software update soon. With the invention of the Apple Watch, came new technology to be incorporated into the Mail app. The ability to triage your email easily, and effectively is important to most people who use their email accounts for business purposes. The iOS Mail app doesn’t make this an easy task. It would be nice to be able to see pertinent information from the incoming email like, the address it’s coming from, the subject line, and a few words from the actual message. That’s enough to know what to do with the message when you’re triaging your account’s emails. It should be that you can move messages where you want them, mark them as you want them, or delete them quickly, right on your watch’s notification screen. This is not the case for the notifications coming through to the Apple Watch from the Mail app. To delete an email, you actually have to run through the whole message. It’s much more convenient to delete messages, from the notification, on the Apple Watch, when you’re using the Outlook app. Microsoft’s app allows you to set up your preferences for your notifications, making it much easier to triage your emails. Staying on the notifications theme, another thing that it would be nice for Apple to address in an update, is to be able to respond quickly straight from the notification. Some of the other functions of the Mail app already have this capability, like on the Apple Watch, directly from the Mail app. It’s the notification itself, that’s lacking this capability. This small update would save the user some time, a hot commodity for most people these days. So, what does all of this add up to for the iOS Mail app, in terms of other native apps? Well, Mail has had enough good changes to almost put it in the lead, as far as the best moves for a better app experience. Mail is doing much better with bringing users back to their native email app, provided with the phone or tablet. There were good reasons for users to abandon Mail, for more capable email apps, with better, and smoother functionality. Apple is doing a good job, now, of addressing the problems with the early versions of Mail, and bringing their native email app up to speed with others in the same market. There are some really big changes Apple has been rolling out, such as enhanced AI, and highly customizable filter choices, as well as, some smaller, subtler changes, like the swipe down draft feature, and an anchored navigation menu in a three column window. While Apple may have been late in bringing some of these changes to the table, it’s easy to see that they are making some really good strides to improve their native email app. It’s exciting to think of what more things could be coming in future updates, when what’s come already has been this good.